-Wilmington, NC- At Cape Fear Networks, we have been in business for 26 years now and have done-so by continually staying ahead of the technological curve. We provide our customers with the most reliable, advanced & cost-effective technology solutions the market has to offer and as 2016 approaches we have our sights on integrating Amazon’s Cloud (AWS) into our services. We provide clients with a Custom Network Management service, which enables businesses in a diverse range of industries, to operate seamlessly on a daily basis. We’ll set up and host email or websites and assist in operating system migrations or other software updates. By mapping out personalized network strategies, Cape Fear Networks gives clients a custom plan that fits their demands and needs. By adopting the Amazon Cloud, we will be able to further expand upon these deliverables in an effective manner. This blog speaks on the features of the Amazon Cloud and how we will use them to enhance our Network Management Services going in to 2016. 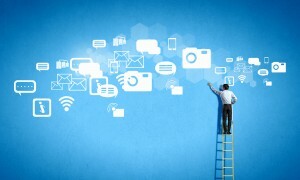 First of all, what is the Amazon Web Service and Cloud Computing? If you missed our previous blog which details the prevalence of ‘The Cloud’ in today’s workplace, you can read that here. In short, the Cloud is an integrated network of servers that can run and store software applications and data. Amazon’s Web Service (AWS) is one of four major public Cloud service providers on the market. It is accompanied by Microsoft’s Azure, RackSpaces’ OpenStack and Google’s Cloud Platform. These cloud servers have become popular among businesses like ours that demand flexible, customized software infrastructure plans. Amazon has been the leading candidate of the bunch, in fact, we’ll be joining popular companies like Netflix, Expedia and Pinterest , all of whom have made the move to Amazon’s Web Service. Here are a few reasons why we made the move to the Amazon Cloud and what benefits it not only brings to us, as a web design and marketing business, but to our many clients as well. Let’s start with the location advantages that Amazon’s Web Service brings to clients of our Network Management services. Amazon is a global power with impressive data centers located in different zones. These zones include, Northern California (US-West), Northern Virginia (US-East), Ireland (EU-West), Singapore (Ap-Southeast) and Tokyo (AP-Northeast) as well as Sau Paulo, Singapore and Sydney. These widespread data center locations are preventative of power outages or downtime and allow for Amazon’s Web Service to deliver such a robust service. By moving our servers to the Amazon’s Cloud, Cape Fear Networks will be backed up by the Cloud provider that has experienced the least amount of down time and outages, with only 2.69 hours of downtime for the year of 2014. As opposed to a dedicated, physical server space, the Amazon Cloud has no: physical scaling limits (vertically), limited physical disk space, rigid specs and stubborn payment plans for storage. This means that our IT support can perform in-house maintenance without having to travel to our current protected server location. Amazon is a trusted brand and the security of their service reflects that. All storage can be located in a Virtual Private Cloud (VPC) with an IP range that our IT support can specifiy, giving us the ability to make classified information privately accessible for administrators only. Amazon Web Service data centers continue to emerge all-across the world, and it is this expansion that forecasts a promising future for Amazon. Jordan Novet, a writer for Venture Beat, examined this drastic increase in growth. “Amazon Web Services (AWS) –the largest public cloud currently available for hosting websites and applications, brought in $2.08 billion in revenue for the third quarter of 2015,” said Novet. This rise in popularity can also be attributed to the Auto-scaling features that make the Amazon Cloud so advantageous to companies like ours that host websites, emails and other applications. The Amazon Compute Cloud (Amazon EC2) has been designed to simplify web-scale cloud computing for developers. 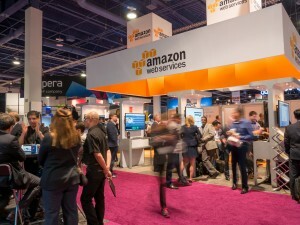 This service provides re-sizable compute capacity within the Cloud, making Amazon Web Service a popular choice among system engineers who design and manage networks with precision. By incorporating Amazon’s Web Service, Cape Fear Networks allows for clients to pay for what they use and get the best ‘bang for their buck’. This On-Demand service means that businesses no longer have to pay for space that they’re not using. The AWS has an Elastic Load Balancing (ELB) feature to help disperse storage across multiple across similar instances. This is especially important for clients of whom we host websites for. As this feature integrates with the Auto Scaling feature, it ensures that there is a back-end capacity to meet varying levels of traffic without requiring manual intervention. Meaning, your website will be able to handle an increase in traffic and if you don’t receive that traffic, then you won’t be forced to pay unused storage. This scalability eliminates wasted space on servers tucked away in an isolated facility and is a progressive way of paying for data storage. Call Cape Fear Networks today for a free network management estimate and learn more about how we can keep your businesses website, email or other applications completely functional on a daily basis with reliable service that you can depend on.